Teaching morally and teaching morality are understood as mutually dependent processes necessary for providing moral education, or the communication of messages and lessons on what is right, good and virtuous in a student’s character. This comprehensive and contextualized volume offers anecdotes and experiences on how an elementary schoolteacher envisions, enacts, and reflects on the ethical teaching and learning of her students. 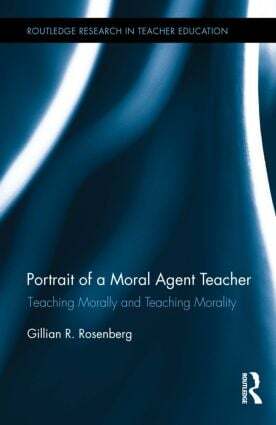 By employing a personally developed form of moral education that is not defined by any particular philosophical or theoretical orientation, this volume relates that classroom-based moral education can, therefore, be conceived of and promoted as moral agency. Accentuated by the teacher’s voice to offer the experience of being in the classroom, this volume enables others to transfer relevant practices to their own teaching contexts. Gillian Rosenberg received her Ph.D. in Education from the Ontario Institute for Studies in Education Department of Curriculum, Teaching and Learning at the University of Toronto, Ontario, Canada. The Routledge Research in Teacher Education series presents the latest research on Teacher Education and also provides a forum to discuss the latest practices and challenges in the field.